Office 365 is the most broadly used SaaS product in the world with over 85 million users. As large scale adoption accelerates, organizations are learning a new set of best practices for operating in the cloud, at scale. 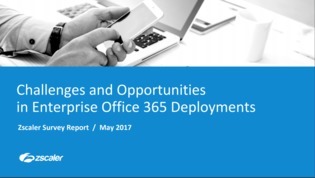 For the full list of network best practices for Office 365 read this report.